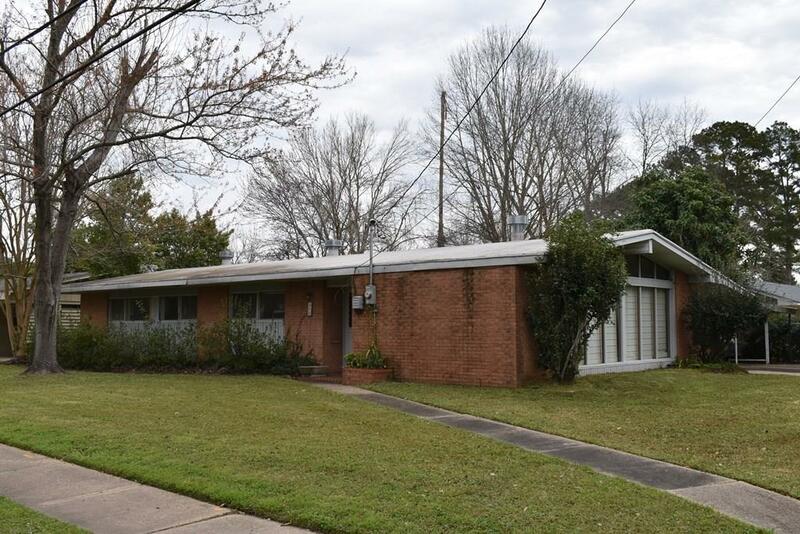 Mid-Century in the middle of East Natchitoches - this home has 3 living areas and dining area which are all accessible from kitchen. With 3 bedrooms and 2 baths, plenty of room for your family. Lots of storage with 12 closets, including one large enough for an office. Separate utility room. Two car covered, attached parking. Corner lot just blocks from downtown, schools, shopping and medical. Call us for appointment before this one gets away.